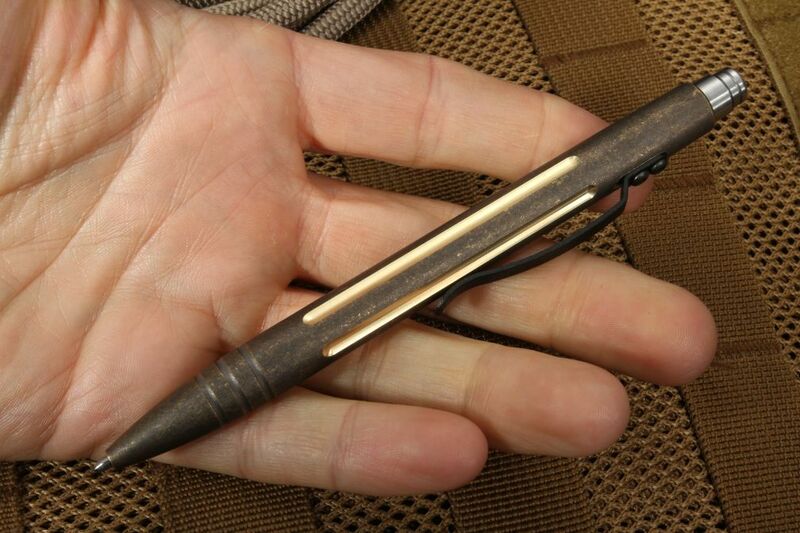 If you need a tough-as-nails pen with a touch of style, the antiqued brass Tuff-Writer Concealment Edition GB Pen is just what you need. 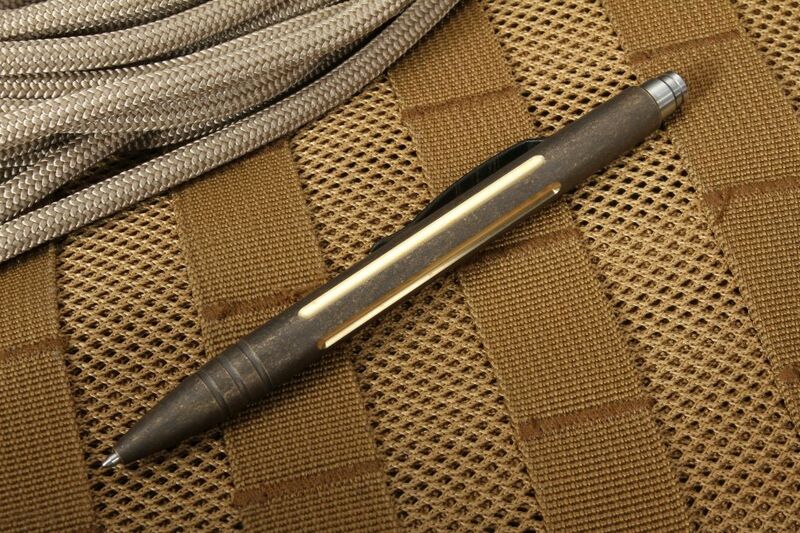 The body of the pen features "gun barrel" style fluted groves that reduce weight and add contour. 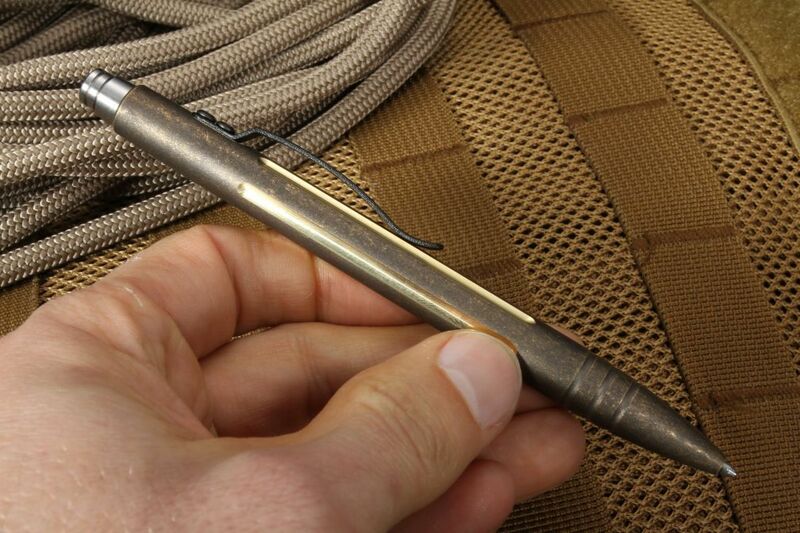 The GB groves are machined after the brass has been antiqued to expose the polished brass for a two-tone look. 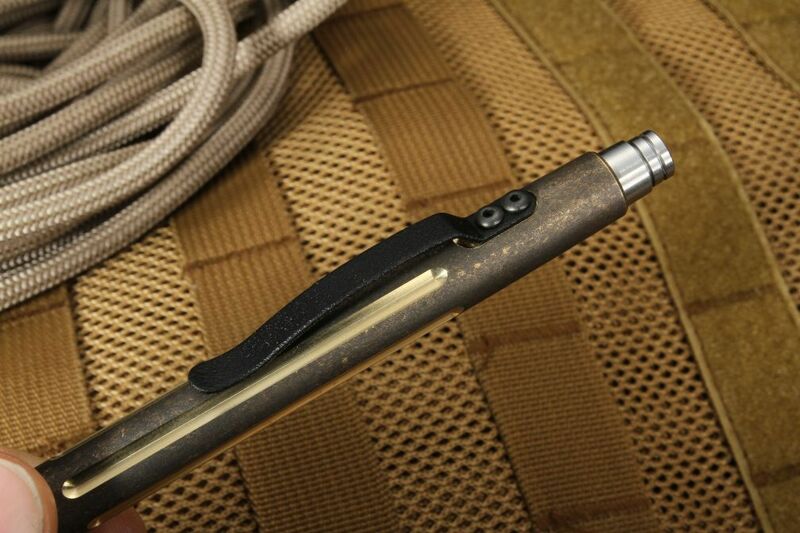 The machined bearing-cam click mechanism makes for super-smooth operation and the Fisher Space Pen Pressurized SPR4 cartridge lets you write just about anywhere. If you are looking for a refined, high-quality two-tone brass pen for your everyday carry, the GB brass is the pen for you. 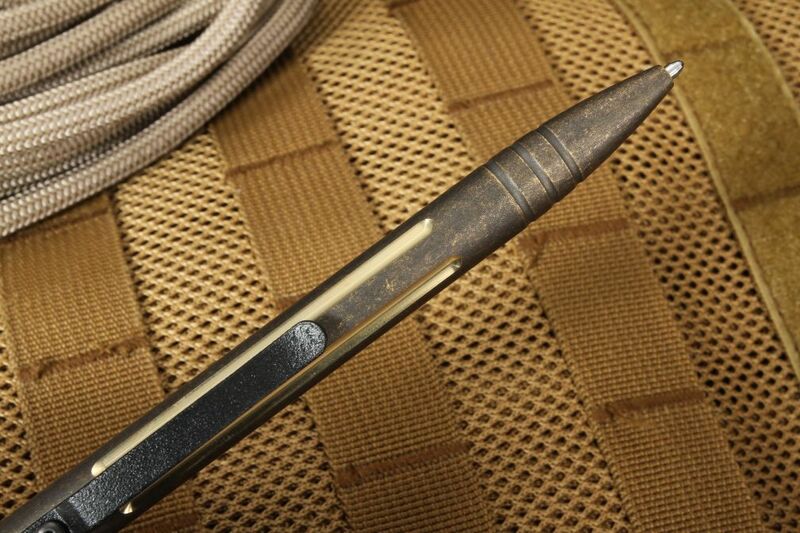 Each made-in-the-U.S.A. writing pen is hand polished to perfection. 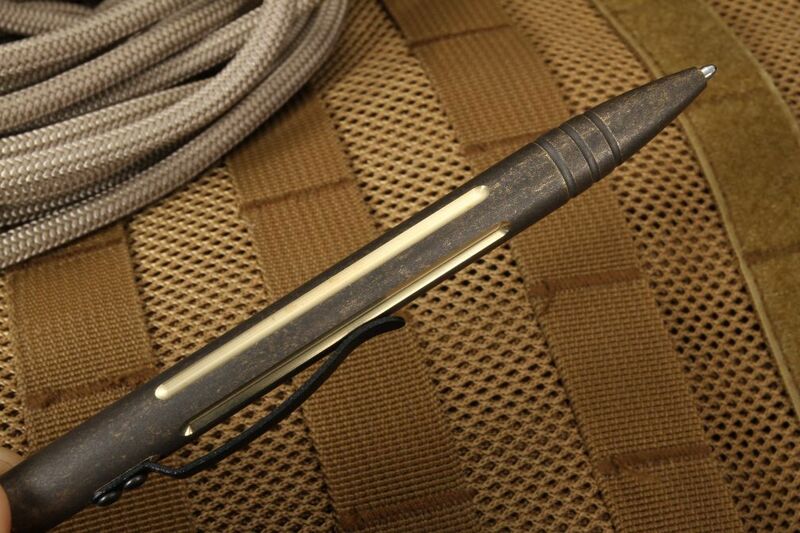 The KnifeArt exclusive Tuff-Writer Concealment Edition GB brass pen measures 5 3/8 inches and weighs 2.3 ounces.